The PRISM Awards is a regional competition for design and construction, and recognizes the accomplishments of professionals who influence the present and shape the future of their art, craft and business. PSD is pleased to announce that they are the recipient of three 2017 PRISM Awards. 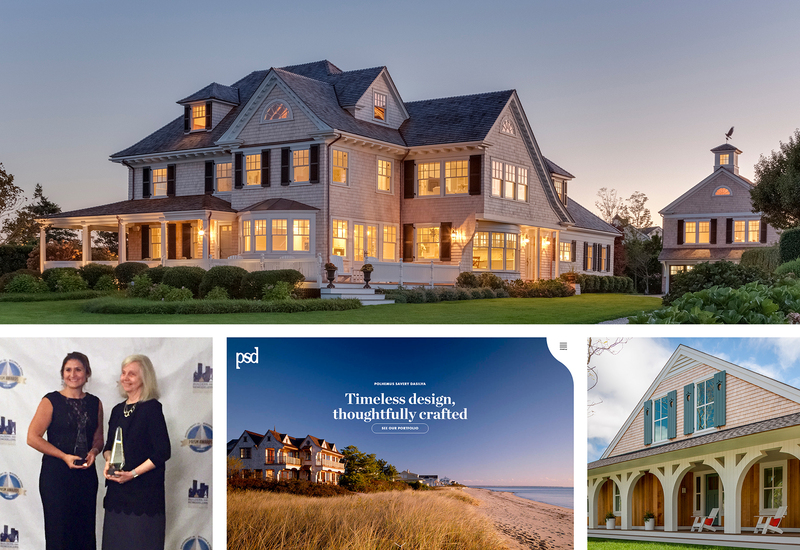 PSD was recognized this year at the coveted PRISM Awards on October 12th, 2017 for Best Remodeling/Restoration Under 5,000 Square Feet with a Gold for Historic Hamblin House; Best Single Family Home 3,000-6,000 Square Feet with a Silver for 19 Dawn’s Light; and Best Website: Builder or Associate with a Silver. Hosted by the Builders and Remodelers Association of Greater Boston (BRAGB), the PRISM Awards recognize the finest projects and outstanding achievements of architects, builders, developers, project owners, land planners, marketing/advertising firms, interior designers, remodelers, and other professionals in the home building industry. This year’s PRISM Awards Gala presented awards in nearly 80 different categories to honor the accomplishments of those who influence the building and design industry in Greater Boston. A distinguished panel representing various segments of the residential building industry from across the country performed the judging.